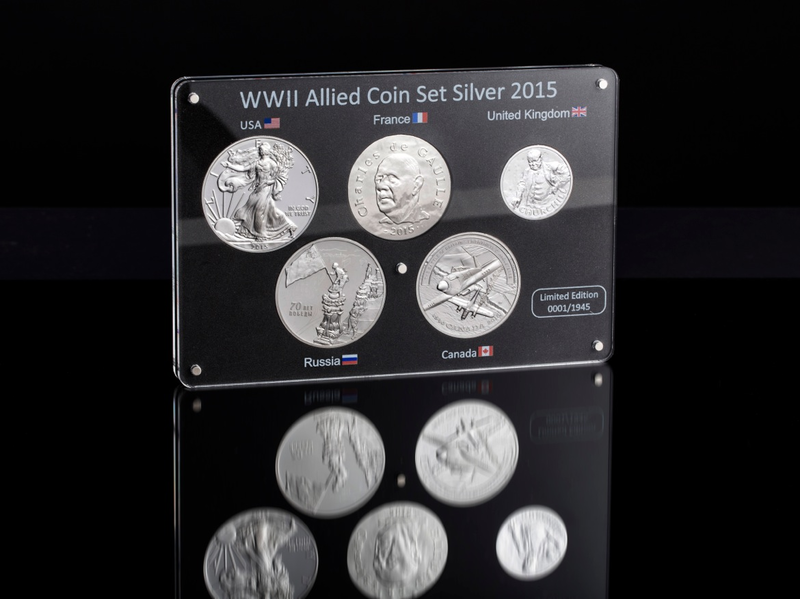 To pay tribute to all those who sacrificed their lives to protect our freedom, The London Mint Office, in partnership with the Monnaie de Paris, has brought together five beautiful silver coins from each of the Allied ‘super powers’. 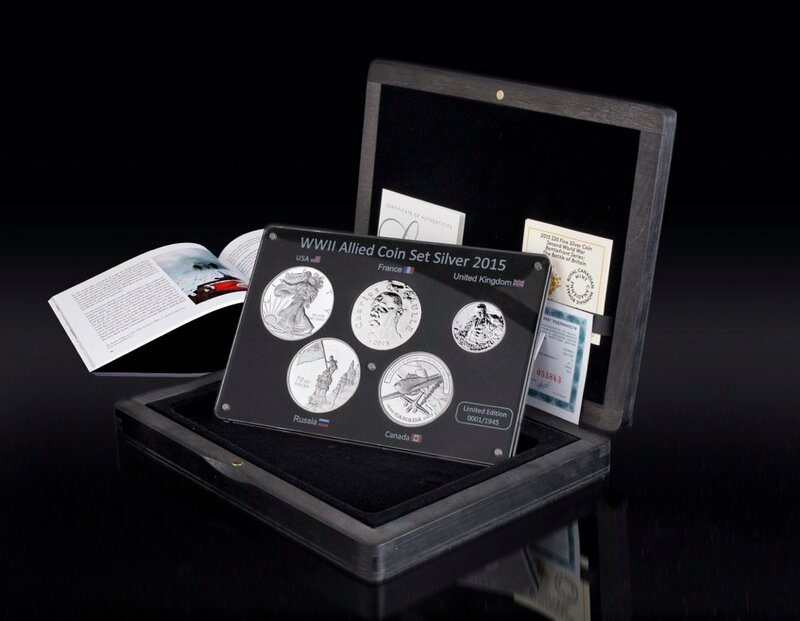 Featuring striking designs specifically chosen by the heads of the five national mints; the Royal Mint, the United States Mint, the Royal Canadian Mint, the Central Bank of Russia, and the Monnaie de Paris, the WWII Allied Nations Silver Coin Set is a truly unique set, so unique that only 1,945 sets were ever issued. The Allied Nations came together to thwart Hitler’s Germany and secure our freedom, and they now come together again to produce this truly unique set commemorating the 70th anniversary of VE Day. 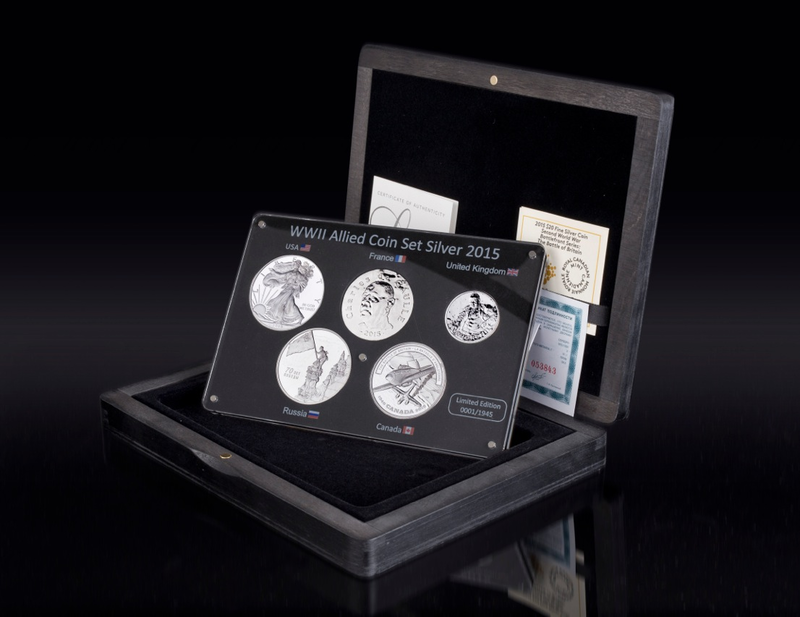 This striking WWII Allied Nations Silver Coin Set provides a fitting tribute to the pivotal role played by the five leading Allied nations in securing victory in Europe.